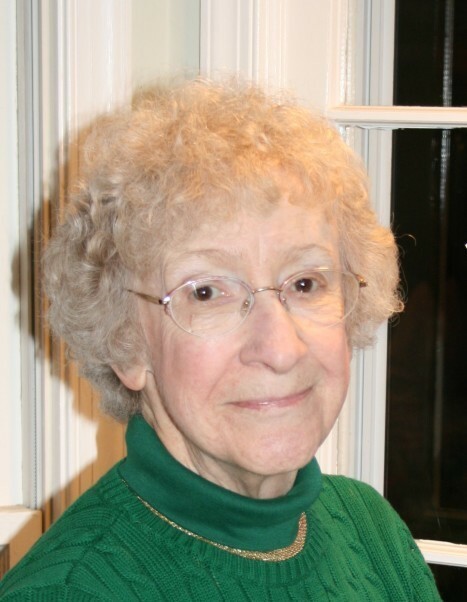 Joann L. (Lafleur) Cloutier, 88, a longtime resident of Framingham died Saturday, March 30, 2019, of natural causes after a long and happy life . Born in Utica, NY, she was the daughter of the late Delano & Alethea (Steates) Lafleur, and the beloved wife of the late Marcel Cloutier. Joann was raised and educated in Utica, NY, and settled in Framingham in 1963 where she and Marcel raised their four children. A devout Catholic, Joann devoted much of her time to St. George Parish, assisting in the Miracle Kitchen, serving at bereavement luncheons, and teaching CCD. She was a volunteer at Cushing Hospital, and taught in various adult literacy programs. Joann had a knack for telling a good story, and was an avid gardener. Ever the matriarch, Joann is survived by her three sons, Marc & his wife Cheryl of CA, Paul of ME, and Leo & his wife Deborah of VA, her six grandchildren, Jacqueline, Marcel, Garrett, Amanda, Gregory, and Sophia. Besides her husband Marcel, Joann was predeceased by her daughter, Anne Jarvis, and her brother George Lafleur. Family and friends will honor and remember Joann’s life by gathering for a time of visitation in the McCarthy, McKinney & Lawler Funeral Home, 11 Lincoln St. Framingham on Friday, April 5th from 8 – 9:30 A.M. Her Funeral Mass will follow in St. George Church, 74 School St. Saxonville, at 10 o’clock. Services will conclude with burial at St. Stephen Cemetery. In lieu of flowers, remembrances may be made in Joann’s memory to the charity of your choice.